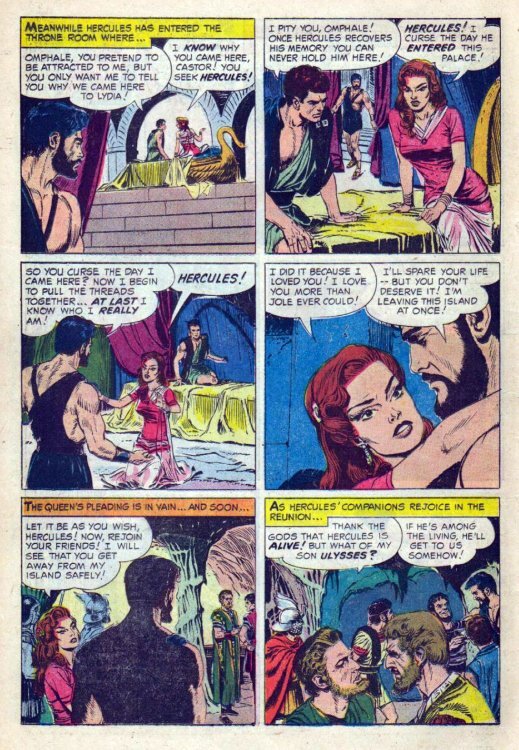 While travelling to resolve a conflict between the two brothers who jointly rule Thebes, Hercules inadvertently drinks from the Waters of Forgetfulness, with predictable results. 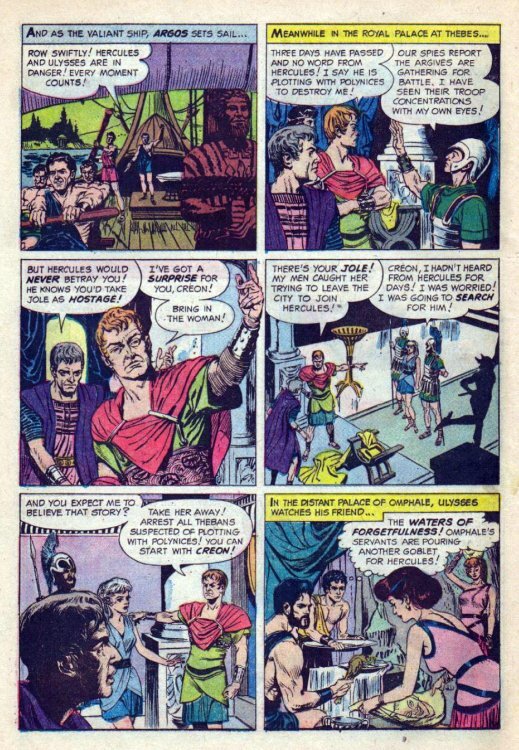 The amnesiac demi-god is found by troops of the Queen of Lydia and brought before her. 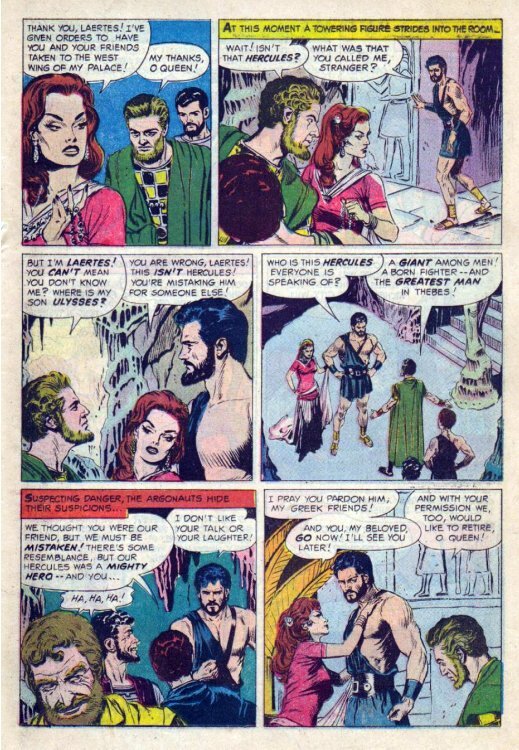 The ruler, smitten with lust for Hercules, tells him he is her mate and keeps the demi-god helpless by making him drinking the cursed waters. 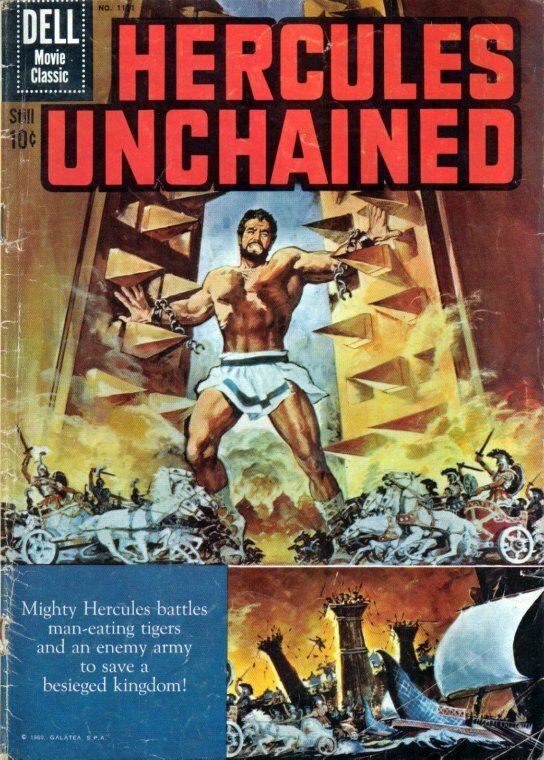 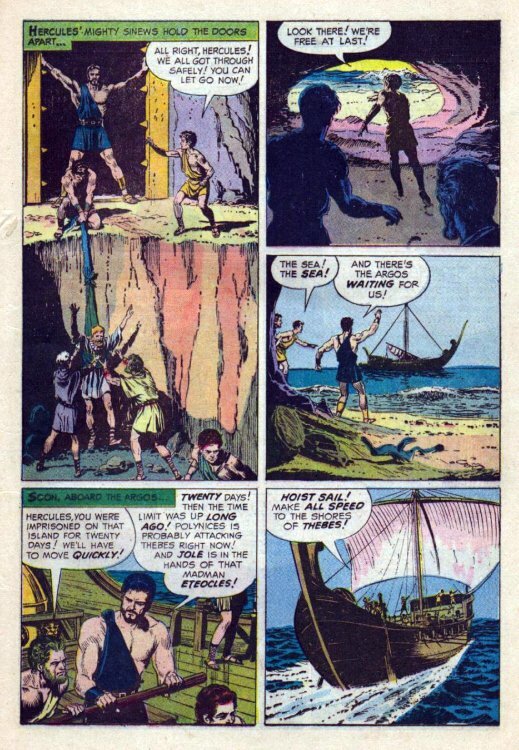 Be here tomorrow for the fantastic finale as Hercules and the Argonauts take on an entire army! 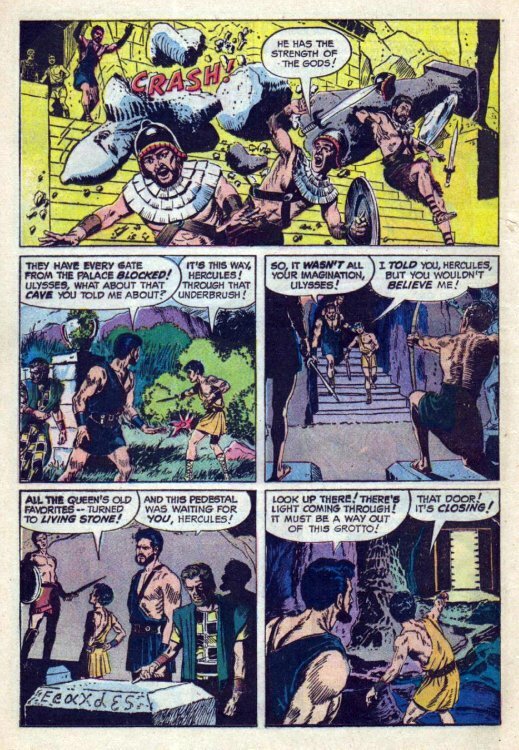 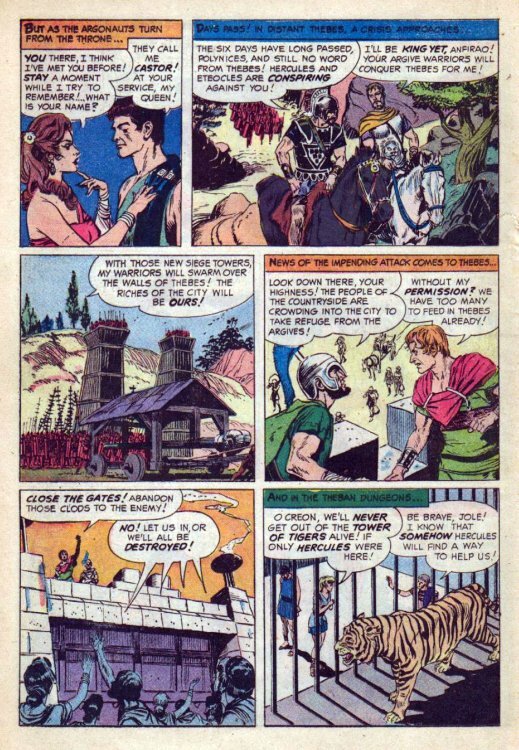 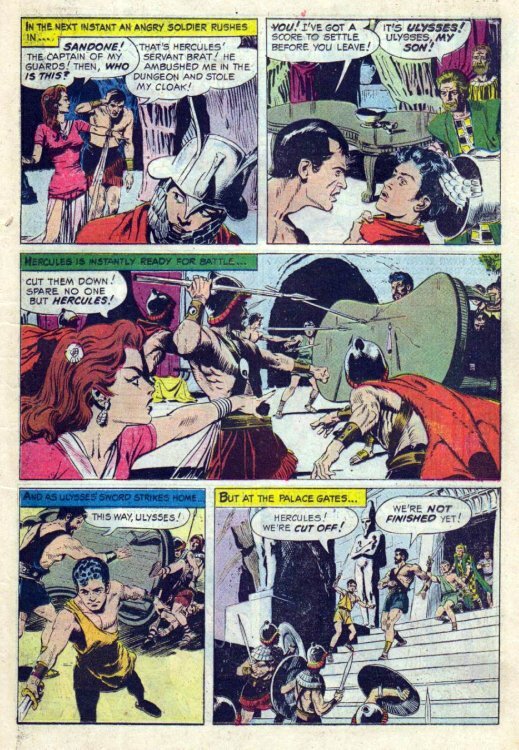 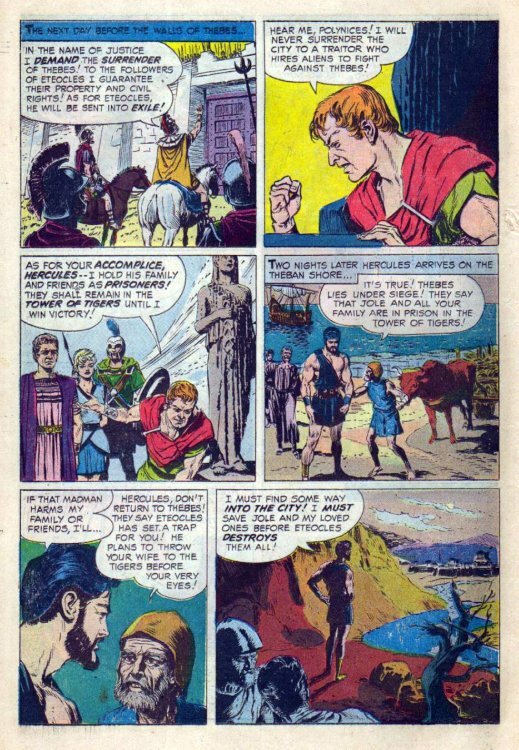 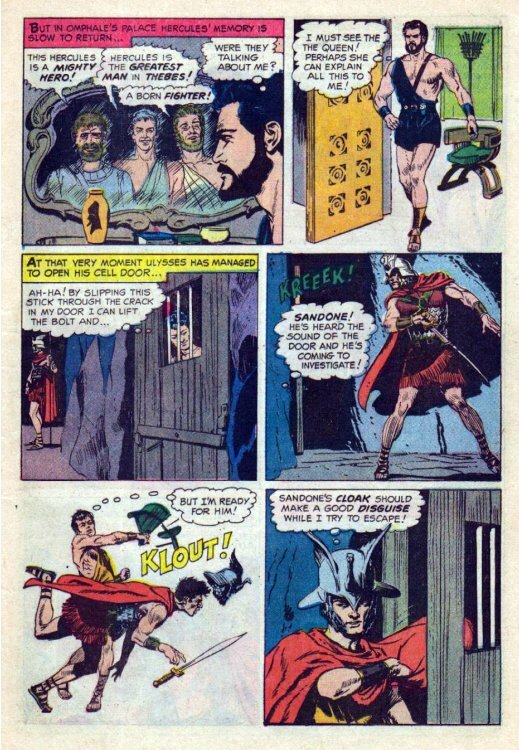 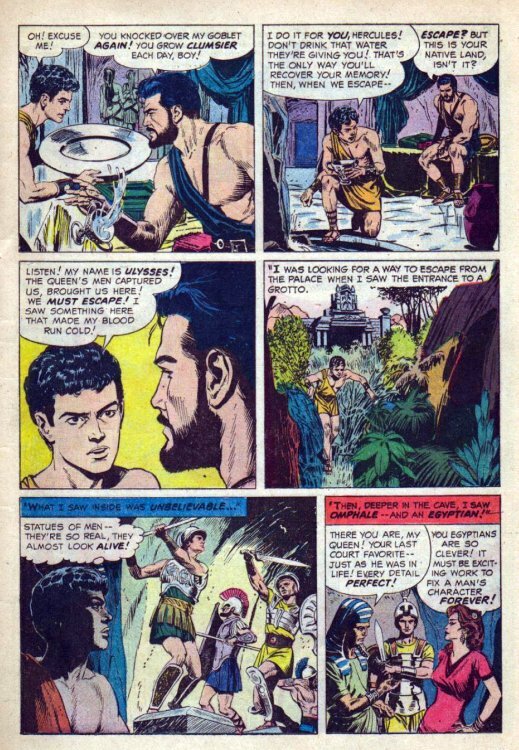 This adaptation was published as Dell's Four Color Comics #1121 (1960) with script by Paul S Newman and art by Reed Crandall and George Evans.